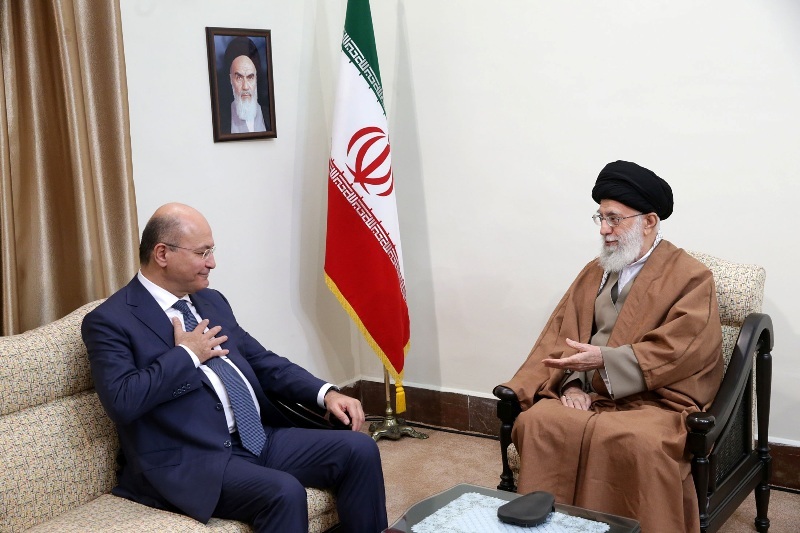 Supreme Leader of the Islamic Revolution of Iran Ayatollah Sayyed Ali Khamenei received in Tehran President Barham Salih on Saturday. Deepening bilateral, regional and international relations as well as enhancing political, economic, commercial and cultural cooperation are among the Iraqi president’s goals of visiting Tehran. On October second, Salih won the presidential election and was elected as the third president of Iraq after the fall of deposed Iraqi dictator Saddam Hussein. This is Salih’s fourth regional trip and the first trip to Iran since he assumed office. He had previously visited Kuwait, the United Arab Emirates and Jordan. On the life and thought of Ayatollah Sayed Mahmoud Hashimi Shahroudi (1948-2018).